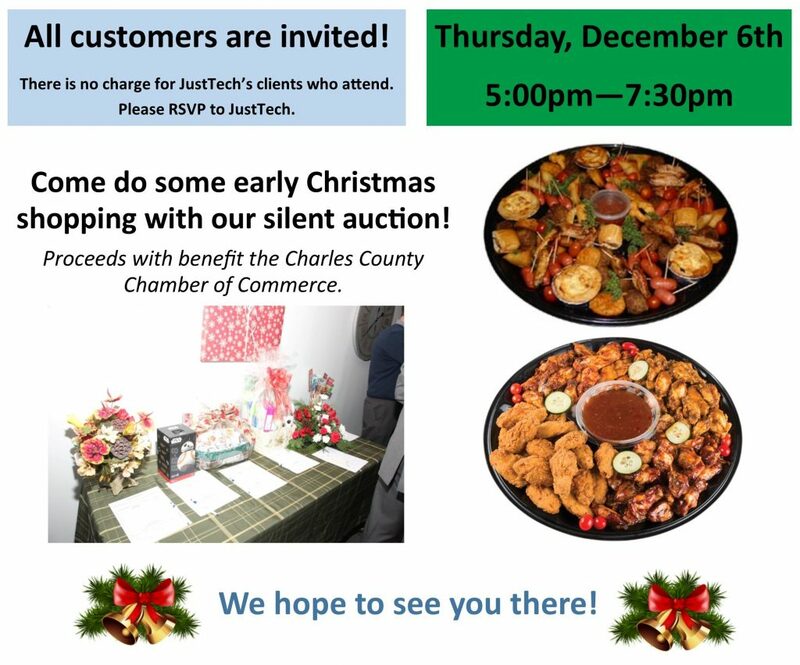 In conjunction with the Charles County Chamber of Commerce’s December Mixer, JustTech will be having a customer holiday gathering at our La Plata office in Southern Maryland! At the event, we will have food, drinks and a silent auction with many gifts! We hope all of our clients can attend! Please RSVP to Leslie Silk at lsilk@justtech.com or 301-632-5555 x 127.